Peter de Rocquigny is a cottager with a boathouse on the McKenzie Bay. He has provide this report about the water level and control structure. Below is a photograph of our outlet structure which controls the water levels for WestHawk at the north end of our Lake, which also feeds into Caddy Lake. Although there are other factors for lake levels to be down this year such as evaporation through this summers heat. 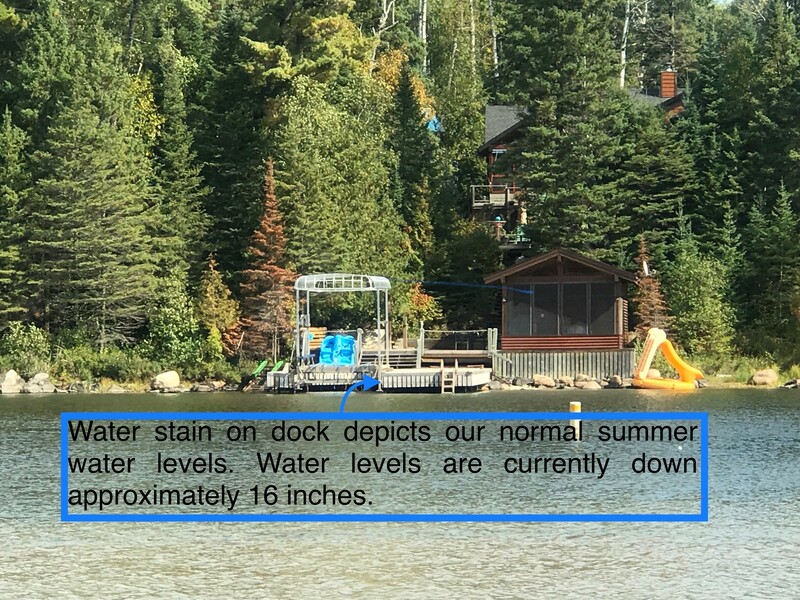 Combined with the heat and the leaky stop logs our Lake levels have dropped approximately 16” this summer. I also understand that the Fish Hatchery uses lots of water from the lake as well. 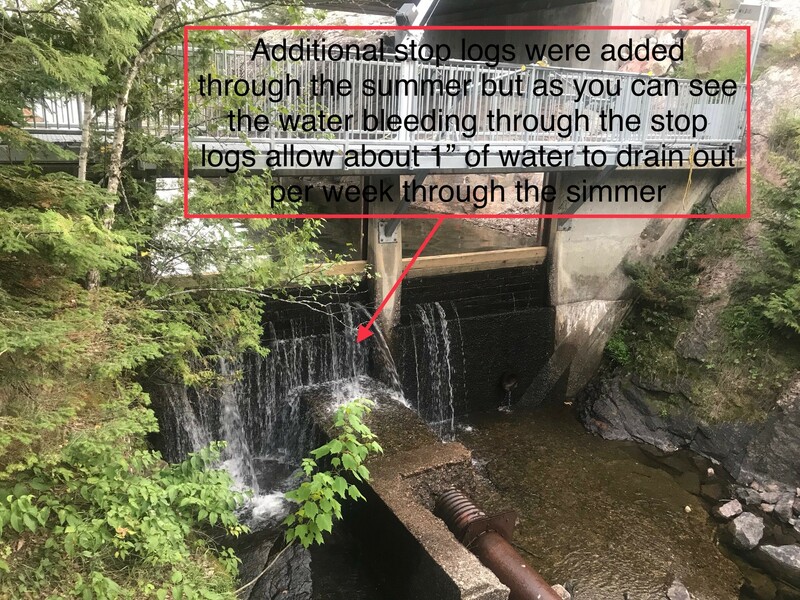 I can only assume that the culvert in the attached photo is where the water source is used for the Hatchery and can only assume that there’s a control valve upstream that regulates the flow. 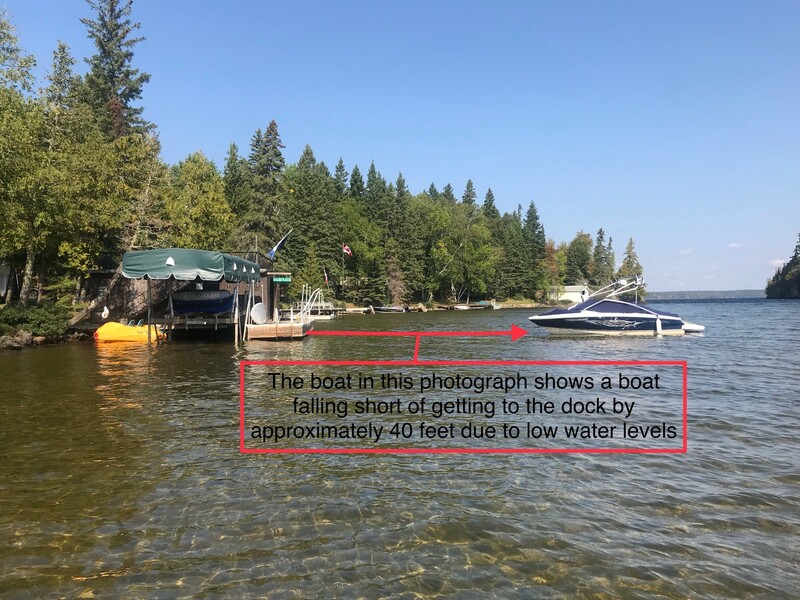 The photo below shows a neighbouring dock that was built to levels that complimented previous normal lake levels. The 16” drop is making it very difficult for some of us getting our boats to our docks.